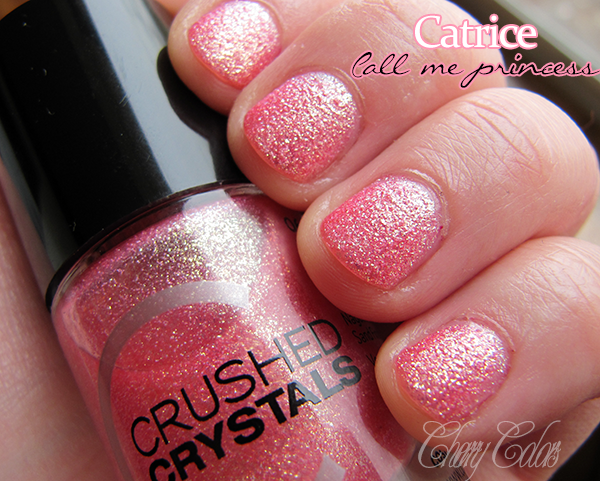 NOTD: Catrice Call me Princess - Cherry Colors - Cosmetics Heaven! A princess, well well... fine. 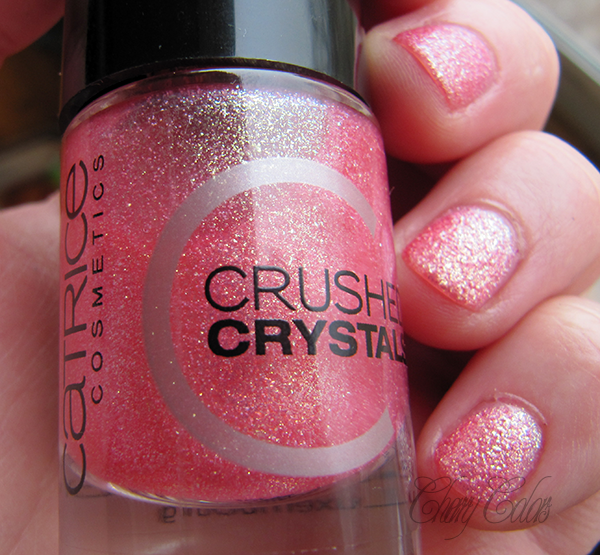 I picked this polish up in Muller a couple of days ago. I couldn't wait to try it, really! I was so excited that I took off my current (NEW!) manicure, haha. This polish was damn worth it. Applies miraculously, dries fast. I applied three coats just for the sake of it (I'd keep applying it on and on, the formula is THAT good). Two would be more than enough. 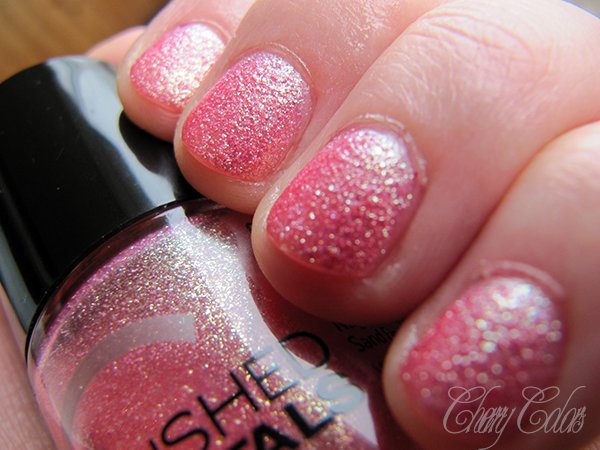 It dries quickly and it is so so so so shiny. The name is actually appropriate. 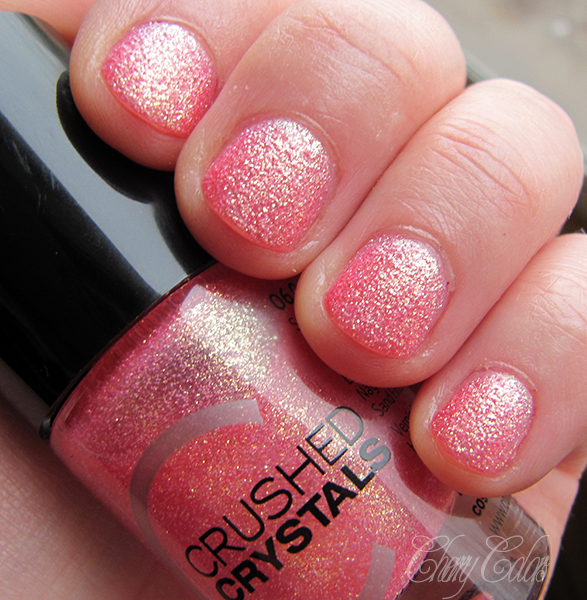 I also applied one layer of top cat and it didn't change the sand texture at all. Impressed. Now, tell me... Isn't it beautiful? And becsause it is textured it is even shinier! In life it is more salmon like (than pink).